Many things are better with something on the side, like a yummy pizza with an extra order of cheesy garlic bread or watching a movie with your best friends next to you. 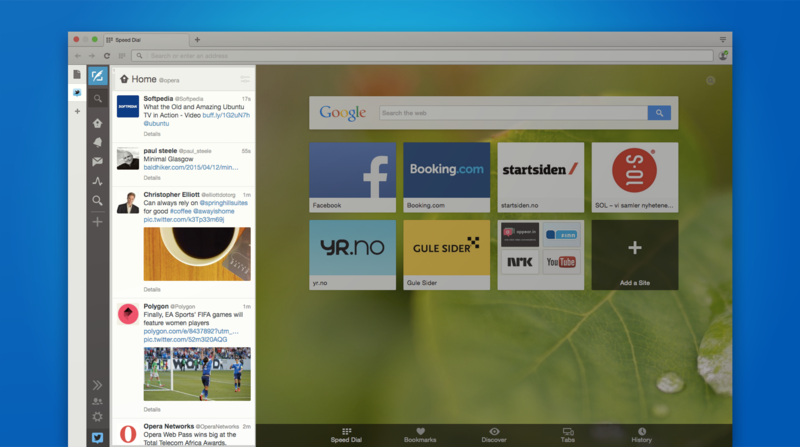 Good news: the latest update of the Opera browser is packed with sweet sides to make your web browsing more enjoyable. The latest version of Opera for computers has sidebar extensions, which let you use notes and other handy tools right next to the web content. – you can even interact with the extension. So, even if you are busy doing research at work, you can keep an eye on your Twitter feed, track the stock market or keep a tab of the weather for your date in the evening, all without opening new webpages. There are over 30 sidebar extensions and more than 1,500 extensions available for the Opera browser. You can check them out in the Opera extension catalog. This feature makes switching tabs a piece of cake. With tab cycler, you can switch tabs in the order in which they were active. There are times when you are closing multiple tabs in a rush and – oops – you closed an important one. You don’t have curse anymore when this happens, just open the new tab menu and click on Recently Closed to retrieve your webpage. You can view open tabs from your other devices directly from the start page. Clicking Tabs at the bottom of the start page will bring up a overview of open tabs from the other devices you have signed into with your Opera account. Click on the device’s name to see its open tabs. Most of us have had that experience where you open a browser session and one or more tabs is playing audio. Now, with the Opera browser’s audio indicator feature, it’s easy to find the black-sheep tab and restore the peace. 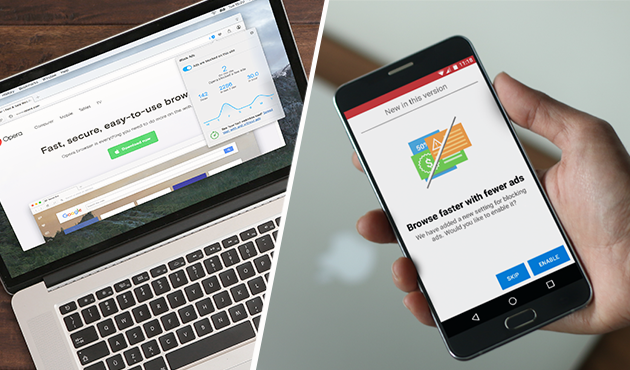 With a dose of fresh energy, Opera 30 is ready to assist you with its many amazing features. Download Opera for computers now and share your take on the new features. Our mission is to make simple, beautiful browsers that help you do more on the web.